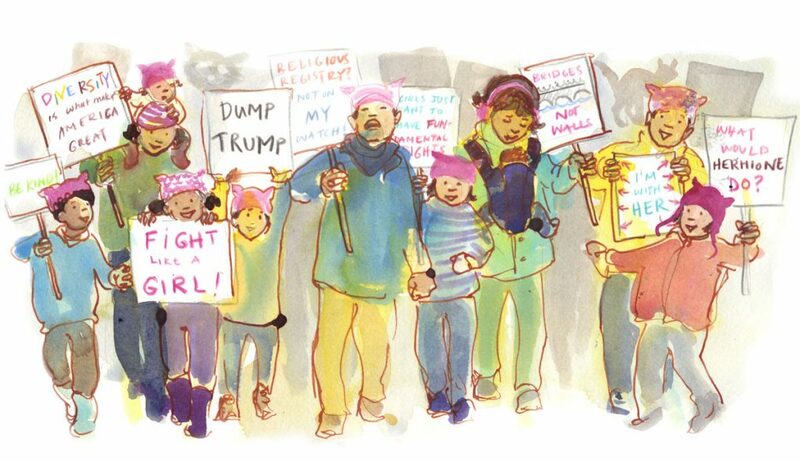 Most recently, I’ve been spending way too much time obsessing over the news, painting protesters, and fiddling with my newly posted online stores (prints on ETSY, https://www.etsy.com/shop/abigailmarble?ref=hdr_shop_menu ; and mugs, t-shirts, totes etc. on Red Bubble https://www.redbubble.com/people/abigailmarble?asc=u ). 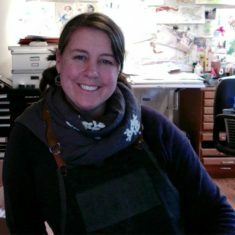 This online selling thing is new to me — check out my stores and let me know if you find any glitches! 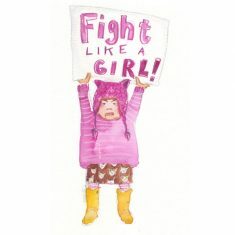 I was finally motivated to make a shop because I have recently made a bunch of paintings inspired by the Women’s March and other current events. Friends asked for prints and T-shirts, so I decided to look into making some, and voila, my shops were born. I am trying to focus on the hopeful and positive moments in this time of turmoil, and people coming together to fight authoritarianism is the main silver lining I can see at the moment. Thus, paintings of protesters and Elizabeth Warren, and more to come — stay tuned. 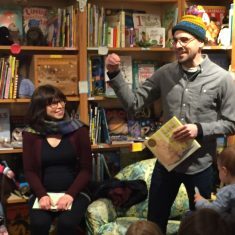 In other news, I saw Erin and Philip Stead read their recent books at my favorite local bookstore ( http://www.greenbeanbookspdx.com/ ). Fun and inspirational, and I got my books signed, too. Gotta get to work. I wish I could claim with certainty that I’ll be here posting more often, but I’ve made that type of promise before…so I’ll just say I HOPE to post a bit more often and leave it at that.